As he prepares to climb back into the ring for the first time since falling short in his bid to become a world champion, Brian Rose seems incredibly relaxed. 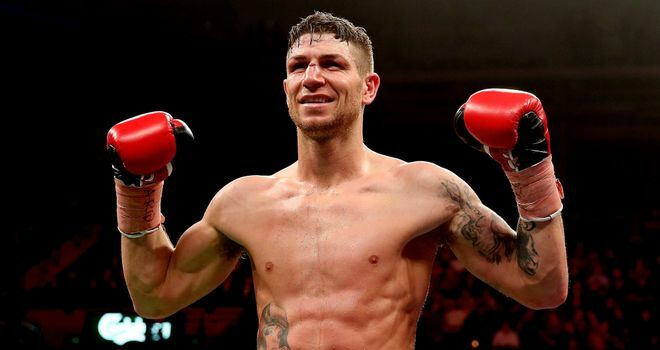 The Blackpool boxer reappears following his defeat to Demetrius Andrade when he is part of a card at the First Direct Arena in Leeds on Saturday night that is led by local boy Josh Warrington's shot at the European featherweight title. "I put a little too much pressure on myself (against Andrade). I really believed that I was going to win. I didn’t go there to lie down, that’s why I kept getting up!" This time around there is no WBO title on the line for the light-middleweight, as there was in Brooklyn back in June. Instead he returns with an eight-rounder against Ignacio Lucero Fraga, an Argentine who just happens to have lost almost as many bouts as he has won in his 21 outings to date. Rose, however, wouldn’t have it any other way. “I can’t wait to get back to winning ways, start winning titles again,” he told Sky Sports at the pre-fight press conference. “It feels like I’ve been out of the ring for ages, but it’s not actually been that long. The Andrade defeat, when he was knocked down in the first and third rounds before eventually being pulled out by his corner, was a chastening experience for Rose, both in and out of the ring. He admits now that he “froze" on the night, while he is also honest enough to realise that Andrade was simply too good for him at the Barclays Center. There is no shame in losing to such an opponent, the American is unbeaten in 21 fights as a professional and is also a former amateur world champion, but what does bother the 29-year-old is the way he performed on the biggest stage. “People asked how I felt after the Andrade fight, asked if I was really gutted about it. But I’ve looked at it and have held my hands up – the lad was better than me,” he said of his American experience. “When you know you’ve been in with someone that is better than you, there’s not much you can do about it. “I do regret my performance – I froze on the night. I didn’t do the things that I was supposed to do, the things we’d been working on in the 14-week camp before it. “I put a little too much pressure on myself. I really believed that I was going to win. I didn’t go there to lie down, that’s why I kept getting up! Rather than be left demoralised by his New York experience, Rose is actually now determined to get another crack at a world title. His preparation has gone back to how it used to be, back to how it was when he became British champion, how it was when he worked his way up the rankings to become Andrade’s mandatory challenger. “I’ve been beaten before and I came back to win a British title. I’ve shown that I learn from my defeats and learn from what goes on around me. I’m a great thinking fighter, so I learn from every situation that I’m in,” the delightfully honest Rose said. "I’ve been beaten before and I came back to win a British title. I’ve shown that I learn from my defeats and learn from what goes on around me. I’m a great thinking fighter, so I learn from every situation that I’m in." “I’ve gone back to the old ways. I’m doing weights again, I tried different diets but now I’m back on to chicken and veg. That is what I used to do before I won the British title. “When you get world title shots and start going up in levels, you all of a sudden think you’ve got to change things. I’ve won British titles and defended them outright from doing what I did, so I’ve just gone back to that. “I feel better for it, too. And that’s the truth. Every boxer that stands in front of a camera before a fight says they’ve had the perfect camp, but I actually have. There’s been no pressure. “I might have to win a Commonwealth, or a small title on the way. But I want to be a world champion – that is my aim. I at least want another crack at one. Then I want perform in it. “I regret my performance (against Andrade). I don’t regret losing, because you learn from that. I’ve not been hurt and I’ve still got the hunger.